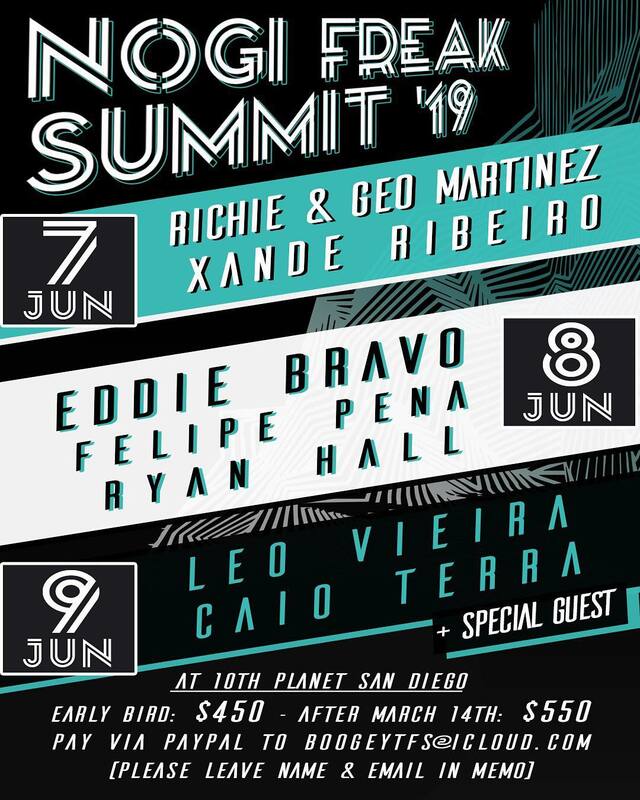 NoGi Freak Summit 2019 is going down in San Diego, California at 10th Planet San Diego on June 7 – 9. Reserve your spot now because it will sell out! To register, send money via PayPal below to boogeytfs@icloud.com. Leave Name and Email in memo.